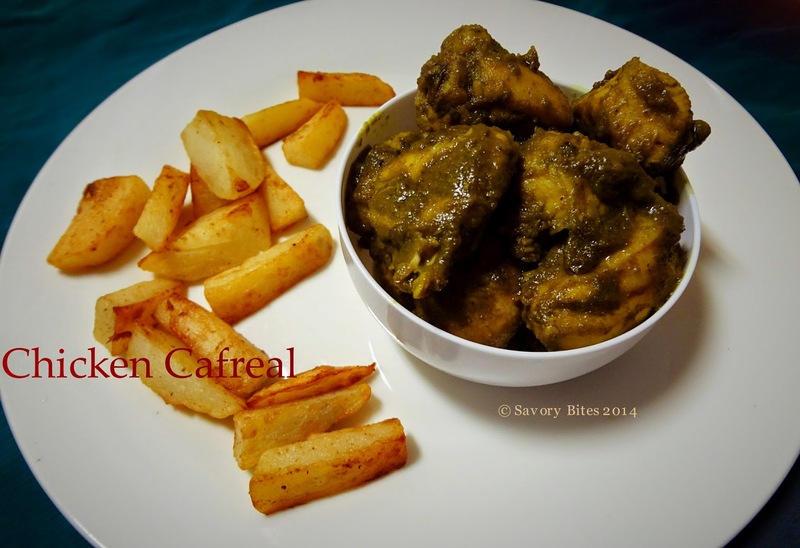 Chicken Cafreal is one of the finest chicken preparations of Goa. I love eating this with rice and sol kadi. It can be a good starter for many occasions too. I tried recreating this dish,giving my touch to it and it was finger licking good!! Wash chicken pieces,apply salt and keep aside. Grind all ingredients mentioned under "For Marination" to a fine paste.Make sure you grind this with water as less as possible. Take out a small portion of this masala paste and keep aside. Apply the remaining paste to chicken pieces and keep chicken for marination for at least 6 hrs. Now, take butter in a pan and add to it the masala paste which was kept aside. Cook this paste till oil starts leaving sides. Add a pinch of salt to this while cooking. Once done, keep it aside. Now in the same pan take oil and pour the chicken pieces along with the masala. Cover and cook till the chicken is cooked and very less masala is left in the pan. Now add the masala which you have cooked with butter and pour it over chicken and coat it properly. 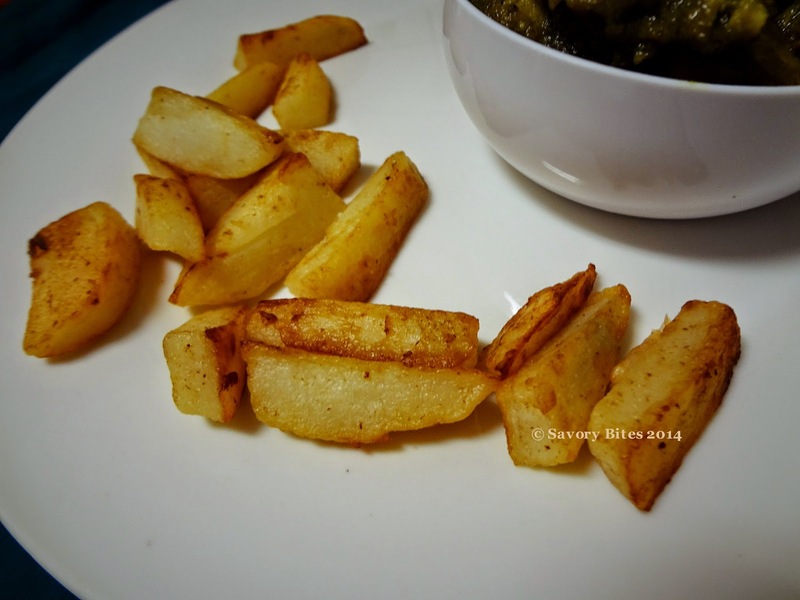 Serve with potato wedges or you can coat the potato wedges with the masala too. Will try..always buy the ready made paste by karma from Goa but will be great to cook from scratch .thanks. 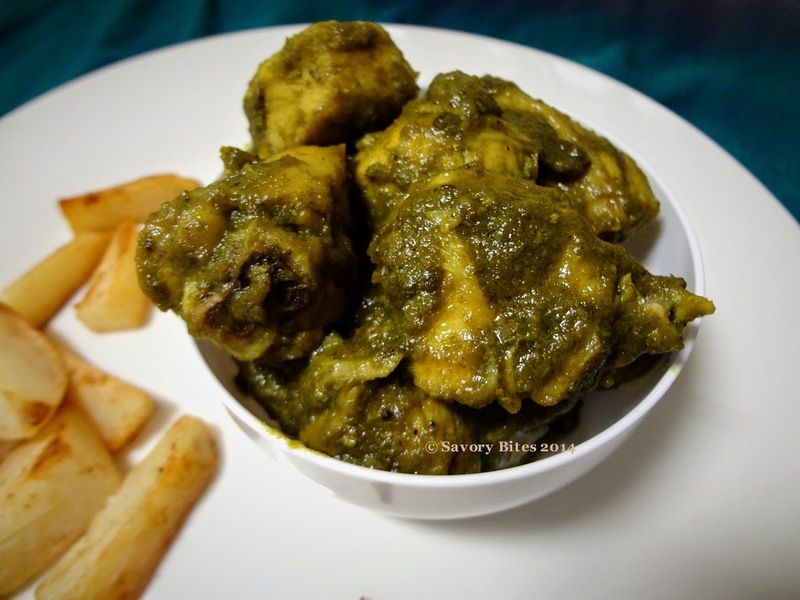 Can the chicken be cooked in pressure cooker and then added to masala in pan? ?